The government has thrown tens of trillions of dollars at the big banks, even though bailing out the big banks hurts – rather than helps – the American economy. See this, this and this. (And it doesn’t take a PhD economist to guess that using bailout funds to buy gold toilet seats and prostitutes is probably not the best way to stimulate the economy as a whole)..
Nobel prize winning economist Joe Stiglitz says that the $3-5 trillion spent on the Iraq war alone has been very bad for the American economy. See this, this and this. Security experts – including both hawks and doves – agree that waging war against Iraq and in other Middle Eastern countries weakens national security and increases terrorism. See this, this, this, this, this, this, this and this. Kaku explains that a solar flare like the one that hit the U.S. in 1859 would – in the current era of nuclear power and electric refrigeration – cause Armageddon. Not only could such a flare bring on multiple Fukushima type accidents, but it could well cause food riots nationwide. In addition, we’ve spent tens of trillions on the “war on terror”, but have failed to take steps to protect against the largest terrorist threat of all: an attack on the power supplies to nuclear power plants. As discussed in more detail below, an electromagnetic pulse (emp) which took out the power supply to a nuclear power plant would cause a Fukushima-style meltdown, and spent fuel pools are extremely vulnerable to terrorism. We’ve sounded the alarm for years about the failure to harden our electrical system against electromagnetic storms from our sun. 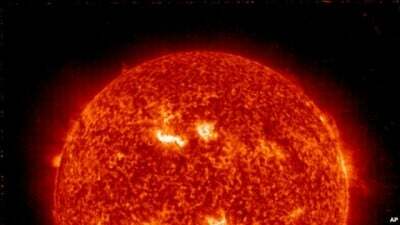 Nasa scientists are predicting that a solar storm will knock out most of the electrical power grid in many countries worldwide, perhaps for months. See this, this, this, this,this, this and this.